Paula had little or no education herself and this inspired her to devote herself to work for the education of women at home and abroad. Paula had little or no education herself and this inspired her to devote herself to work for the education of women in Catalonia and to found a religious order, the Sisters of the Pious Schools. Patrick Duffy tells her story. Paula was born and baptised on October 11, 1799, at the seaside Catalonian town of Arenys de Mar about 30 kms north-east of Barcelona, the eldest of five children. Her parents Ramon and Vicenta brought her up in a Christian atmosphere. She had an intense devotion to Our Lady and she took an active part in the life of her parish. Her father died when she was ten, so both her mother and herself had to work hard in caring for the other siblings. Like most girls in Spain of her time she had no chance to participate in education. When Paula was thirty, she moved north to the city of Figueras (Gerona) with her friend Inés Busquets, to open a school for girls which offered a broader curriculum than that generally offered for boys, including some spiritual guidance. After thirteen years (1842) they opened a second school in her own home town of Arenys de Mar, and four years (1846) later a third in Sabadell, a town about 20 kms inland from Barcelona. There she was helped by two priests, Fr. Jacinto Felíu and Fr. Agustín Casanovas, of the Order of Clerks Regular of the Pious Schools (Piarist Fathers), founded in 1617 in Rome by St Joseph Calasanz (see August 25) for boys’ education to set up a religious order for women, devoted to the education of women. The order became known as Daughters of Mary (Sisters of the Pious Schools). On February 2 in 1847, she made her profession along with her first three companions, Inés Busquets, Felicia Clavell and Francisca de Domingo. Other schools followed at Igualada (1849), Vendrell (1850), Masnou (1852) and Olesa de Montserrat (1959). Paula inspired and helped to found 4 others: Gerona (1853), Blanes (1854), Barcelona (1857), Sóller (1857) and Olesa de Montserrat (1859). She was also the formator of the first 130 sisters of the Congregation. It was a very active and prophetic period in her life. Paula stayed at Olesa de Montserrat for the next thirty years until her death in 1889. 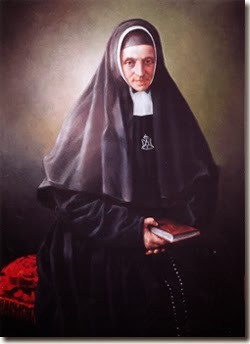 The two pillars of Mother Paula Montal’s spirituality were her Calasanz spirituality and her charisma for the education of women. 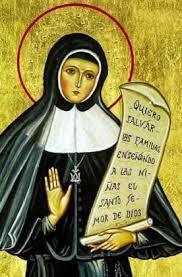 She was beatified 18 April 1993 and canonised on 25th November 2001 by Pope John Paul II. 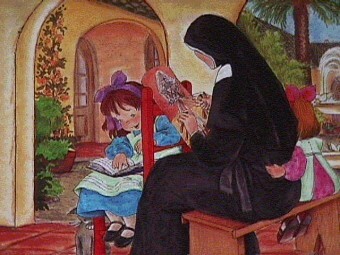 There are currently 800 Sisters of the Pious Schools in 112 communities educating 30,000 girls in 19 different countries.